The Rough Guide to Sci-Fi Movies — Officially Out! The Rough Guide to Sci-Fi Movies is now officially available for purchase here in the US (it’s been out in the UK for a couple of weeks now), and naturally, I encourage each and every one of you to enter through the doors of your nearest bookseller and proclaim in a loud, clear and confident voice that you are there to purchase this very book, and in doing so make a better world for yourself, the book sellers, and all your various and sundry children. Alternately, here’s the link to snag it off Amazon. All of this is designed to be both interesting and informative, but the part of the book that’s going to get most people’s attention — and raise hackles — is The Canon, which features the 50 science fiction films I have deemed to be the most significant in the history of film. Note that "most significant" does not mean "best" or "most popular" or even "most influential." Some of the films may be all three of these, but not all of them are — indeed, some films in The Canon aren’t objectively very good, weren’t blockbusters and may not have influenced other filmmakers to any significant degree. Be that as it may, I think they matter — in one way or another, they are uniquely representative of some aspect of the science fiction film experience. You ask: Why do I get to choose what films are in the canon? Well, you know: 15 years of film reviewing and following the business of cinema, and a lifelong interest in science fiction, gives me some amount of credibility. Being a published science fiction author doesn’t hurt, either. Now, I didn’t start this project thinking I knew it all — some of you may recall I made an open call for people to suggest their thoughts on the most significant SF films — but by the time I got down to the writing, I felt comfortable with the list I drew up, and in saying that these were the most significant SF films of all time. Now, let me be clear: I don’t expect everyone to agree with my selections for the Science Fiction Film Canon. Indeed, what fun would it be if everyone did? I hope that people use The Canon list as a springboard for starting a wide-ranging debate about what science fiction films truly matter. So if you think my list is crap, bully for you. Do better. Be aware I’m willing to fight to the death for this list; otherwise, bring it on. No, Serenity didn’t make the list. Deal with it (it is in the book, though. Page 24. Big shout-out to Joss Whedon there, too, although I don’t have very nice things to say about his Alien Resurrection script when I review that movie on page 59. Please don’t hurt me, Whedon fans). This list only notes the films I selected; for the reasons and rationales behind their selection, you’ll need to pick of the book and read the reviews of each of these films. There is some excellent writing in those reviews, if I do say so myself; if any of you were worried I might tone down the snark, well, let me just say your worries are unfounded (you’ll particularly want to check out the Star Wars and Matrix reviews, which are chock full of snarky goodness). I will note that this list is very substantially informed by suggestions from people who responded to my August 2004 call for input, so if you were one of the folks who pitched in for that, many thanks. You helped quite a bit. 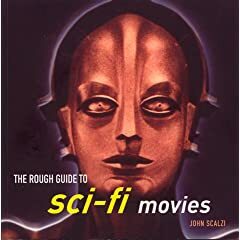 I’m very proud of The Rough Guide to Sci-Fi Movies; it was a lot of work to put this book together, and I think it works on a lot of levels — it’s a fun overview for people who don’t know much about the history of science fiction film, but even those with deep knowledge of the field will find interesting stuff in here (I’ll note I found a few typos here and there — well, a few more than a few. Welcome to first editions! We’ll get them for the second printing; in the meantime it doesn’t affect the reading in any significant way). The book gives folks lots to argue about, which makes me happy. I hope you’ll check this book out and find it as interesting to read as it was for me to write — and that you end up checking out some science fiction films you might not otherwise have seen. That would make me happiest of all. Update, 6:06pm — The Amazon ranking for RG2SFM is 1,800 at the moment, up from 105,000 or so yesterday. w00t! That’s really excellent for a pop reference book. You’ve made my publisher’s day. I’m also pleased. Thank you very much for checking it out. That reminds me that I need to send Forbin back to Netflix: It’s still here on my desk. You know, lots of people recommended Forbin, but I watched it and thought — eh. Good, but not canonical in my opinon. I did do a thumbnail write up of Forbin but it seems not to have made the final edit: We put in about 250 films total, and I think an additional 25-30 didn’t make it in for space reasons. Is that Luchino Visconti’s The Damned you’re referring to? Wasn’t aware it was SFnal. If you really wanted to think outside the box, you could have listed Last Year at Marienbad. 28 Days Later did very little for me. Surprised to see that make your list and not the plethora of films it swiped from. (Day of the Triffids, Day of the Dead, Omega Man…) Not that I’m suggesting those films belong there! As you’ve listed at least seven of my favorite films, you’ll get no quibble from me. I am very pleased Star Trek II made the list. After all, it was what I saw on my first date and that is reason enough for it to make the list. What? That’s not why it’s there? Well, harumph! You put in 12 Monkeys, but left out La Jetée. Well, he did say not everyone would agree with the list, people. No, that would be Joseph Losey’s The Damned, released in the US as These are the Damned. I’ve seen both of them, and they would be very hard to confuse, though the idea of Macdonald Carey doing a cabaret drag act for Oliver Reed has its charms. The Joseph Losey movie called “The Damned” is the one being referred to. Definitely worth a rental or even ownership. It explores the darkest edge of atomic war paranoia. The penultimate title should be “Le Voyage dans la Lune” and not “La voyage dans la Lune”. Okay. Joseph Losey. Off on a treasure hunt. Cool. Danke. No, it’s there; the two of them share the entry as a package deal. Dark star is in there, just not in The Canon. 28 Days is in there not only because it’s a superior example of a “scientific” zombie story but because it’s an example of the “fast and smart” low budget film UK filmmakers can produce today to compete with Hollywood $100 million+ scifi spectaculars. David: Yes, although both versions are noted in the book. I agree the anime version is pretty interesting, and gorgeous to look at. There’s a few flicks on the list that seem to be more box office giants rather than milestones in SF: Back to the Future, ET, Jurassic Park, Robocop. Was ‘box office smash’ a qualification in itself, or did you see more innovation there than I’m giving them credit for? I was also surprised to see T2 over the original. I assume that the book has arguments for your choices…? I’m looking forward to reading it. Sometimes box office was a factor, particularly when it is indicative of larger phenomena (Star Wars is the obvious example here), However, of the films you mention there, the box office take was not a relevant criteria for their inclusion; there were other contributory factors. And yes, I definitely explain each in the book. T2 over Terminator: Ultimately I think T2 matters more, but this shouldn’t imply I think little of the first film. All three Terminator films are extensively essayed; indeed, in the case where you see a film that’s part of a series or has a notable remake, you can assume the other films get examined as well. Thanks for the invitation to snark, John, but if you really want snarking, you need to place them all in a rank order. They are in a rank order — ranked by alphabetical appearance. Anyway, ranking by number gets a little silly out of the top ten. As if there’s a genuine qualitative difference between the #43 film and the #44 film. Lownotes: Eternal Sunshine is in the book, just not in The Canon (there are a total of about 250 films that get “thumbnail” reviews in addition to the 50 Canon films). The thumbnail for Eternal calls it “dazzlingly inventive,” so I think that suffices. Buying this book for my husband and son for Christmas! I will be sure to ask for it loudly and confidently. Excellent, Gawdessness. You are now my favorite person. I hope you appreciate the irony of juxtaposing this post with the previous. Of course I understand you want to share your work with the blogging audience, but you gotta admit it’s still funny. I did indeed note it in the comment thread to the previous entry. Fortunately, plugging my work here is not the only thing I do. I’ll have something amusing and entirely unrelated up a little later in the day, in fact. Stay tuned! As an anime fan (geek/scholar/writer/etc. ), I’m glad to see the inclusion of Akira and Ghost in the Shell in your list. Both films are pretty canonical in the history of Japanese animation outside of Japan, and I’m glad to see them being appreciated as important science fiction films as well. What about Altered States, which was interesting if slightly dated today? Of course, not wanting to encourage Ken Russell is a good idea in my book. Thanks. It’d be foolish to ignore the influence of anime on the most recent generation of SF films, of course, and particularly those two films. I discuss anime to a middlin’ extent in the book, both from a historical point of view and in recent notable anime releases, although anime in general deserves its own book (or a significant portion thereof) as not all anime is science fiction. Chris: Altered States is in the book, just not in the Canon. Oh, that’s much too reasonable a response, especially if you ever want to get hired for a VH1 special…. You think anyone at or from VH1 has ever watched a science fiction film that didn’t have Will Smith in it? Nothing against Will Smith, mind you, who is (financially speaking) one of the most successful science fiction film actors of all time. Ah, thank goodness for Buckaroo Banzai. An excellent list, thank you! Reminiscent of the ‘Goes without saying’ list from ‘Baked Potatoes’ with a Sci-Fi filter attached. Good lord, I think I’ve *seen* all of those, even. As to the lack of Dark Star (from someone who hasn’t read the book): I’d agree, but I note a lack of ‘spoof’ in general – Banzai is more of a satire than a spoof, and even it rides the line. Otherwise, I’d have nominated ‘Trancers’ myself. Heh. I do hope the De Laurentiis Flash Gordon is at least *mentioned* in there, though. Oh, Dark Star is in the book (a still from the film starts off the “Crossovers” chapter on page 177). As for the 1980 Flash Gordon, it gets a mention, indeed. ‘Twas a silly movie, it was. To be clear, there are many excellent (or, at least, interesting) SF movies that for whatever reason I didn’t think made the Canonical cut. You’ll find most of them in the book, either in the text itself or in the thumbnail reviews. Saw it in a twin bill with “2 or 3 Things I Know About Her”. “Alphaville” was a hoot. Very, very French. “2 or 3 …” was visually interesting, but ultimately a bunch of boring anti-American, anti-modern cliches. I had to wonder what all the fuss about Godard was after seeing them. Congratulations! It sounds like an interesting read. I plan to order from Amazon, since I’m in hermit mode today. Many of your canon movies I’ve never seen. My husband is about to sign us up for Netflix; I’ll have to put some of them on our list. Thank you for always having such an interesting blog (even when you’re selling something)! Yeah, this is a book made for Netflixery, if you ask me. That whole “Ooh! I want to see that!” thing. Great list. I would have included The Fifth Element in the top fifty. I also wondered which “The Stepford Wives” ??? I plan on Amazon-ing the book ASAP…by the way, please allow me to offer my thanks for Old Man’s War. I eagerly await Ghost Brigades! My wife would agree with you. She adores The Fifth Element. Personally I think it was about Luc Besson having his science fiction cake and eating too. Which Stepford: The 1975 version. Last years version was a bit of a disappointment, despite some very funny moments — Paul Rudnick (who wrote the remake) is one of my favorite screenwriters from one scene to another, but he has a problem stringing it all into one actual movie. I was Hoping you would say the 1975 version, it was sooo much better done than the “Kidman” vehicle (just My opinion tho). Just a small note: I have seen EVERY ONE of the movies listed on your Canon. First: Dune is indeed mentioned extensively; it gets a whole page on page 23. Second: Are you totally high? I figure you have to be to think it’s the best SF movie of all time. Interestingly, they’ll be releasing a DVD “director’s Cut” of the film in January, so that’s somethng for you to look forward to. Yes, Element is mentioned a number of times and gets a thumbnail review. Sleeper – an interesting inclusion, if it’s the same 1973 Woody Allen comedy I’m thinking of. Didn’t it have a McDonalds joke in it? How could you leave out that low-budget high-suspense classic: Village of the Damned (1960)?!! Richard R & Chopchop: They’re in there, just not in The Canon. Re: Sleeper: It may have a McDonald’s joke in there; certainly it’s got enough other (then) contemporary jokes. Question 1: What led you to pick more than one movie from a siginficant series of films? Freeing up two slots would have allowed you to include two more. Otherwise good. Though I feel King Kong’s absence is a true void. Interesting list. If nothing else, you’ve provided seven titles I haven’t seen. Do you find it difficult to canonize recent movies? I ask because I maintain a mental top ten (or twenty) list, and I find it hard to put any movie more recent than about 15 years old on it. What seems innovative and groundbreaking at the time is often the most dated and irrelevant (q.v. Tron). Since a comment on such a list wouldn’t be complete without nitpicking, I’ll posit that Minority Report is a better movie, with more interesting ideas, than at least a third of your list. Ask me again when it’s fifteen years old, though. In the case of Alien/Aliens and Star Wars/Empire, I originally wrote up the entire series as one entry, and then later the editors decided to break them up a little, and I decided in both cases the second films were significant enough that I didn’t want them out of the Canon. This did mean bumping down two other entries off the Canon, which — if I remember correctly — were The Rocky Horror Picture Show and The Truman Show. The Truman extended Canon entry is still in the book, although in a different place, and Rocky Horror is also discussed extensively. I kept TV projects out of the primary section of the book, so The Day After doesn’t get a mention, although interestingly it was released in theatrical form in Europe from what I understand. Re: King Kong — it’s not really science fiction, it’s fantasy, so it’s not appropriate for The Canon. Nevertheless, it sneaks into the book in several places, most notably in relation to special effects (and particularly in reference to KK’s special effects wizard Willis O’Brien). This is not to say KK isn’t incredibly influential as a film, and if I were doing The Rough Guide to Fantasy Movies it would definitely be in that Canon. Yeah, it was indeed an interesting question. Some films made a strong case for inclusion because they were immediately influential (The Matrix is an example here, because the esthetic and effects processes of the film immediately impacted other film productions), but I will be interested to see if 28 Days Later… holds up to inclusion a decade down the line. I think it will because I selected it for more than just story — I think how it was made is significant — but you never do know. Re: Minority Report: I would agree it’s an excellent film — I say so several times in the book — but I would also note that being an excellent film is not the only factor to consider in what is canonical. For example, I happen to think the original Gojira is a really bad film (and yes, I say so in the Canon write-up), but it’s also indisuputably canonical, for reasons other than its pure cinematic quality. ‘Twas a silly movie, it was.Indeed, but you have to admit it had some of the finest dialogue ever written.Flash! Flash, I love you, but we only have fourteen hours to save the Earth!Poetry, sheer poetry. The Bard himself couldn’t have done it better. I kid, I kid, but really — if you need a laugh someday — take a look at the battle scene with the Hawkmen, then pop in Branagh’s Henry V and come to the shocking realization that Brian Blessed’s Exeter is actually channeling Prince Vultan.I have to admit, I want my tombstone to read “Justin Anderson, Earthling, Executed by Ming”. You know, Justin, there’s no reason your tombstone can’t read that. Just because it’s a tombstone doesn’t mean it has to be truthful. Well, sure, but then I’d have to deal with my Mom raising me from the dead (possibly after performing the same trick on herself) just so she could kill me again. Actually, if you can get past the cheesy production, it’s got some redeeming qualities. We got the 3 copies I ordered for my bookstore the other day. If congratulations are in order, congratulations! I was heartbroken, just utterly devastated to see that my suggestion (Wings of Honneamise) didn’t make your Canon. But I shall survive, and the scars of disappointment will recede; ultimately, I’ll be a better man for the experience. Did you see the AMC or TCM documentary, “Keep Watching The Skies!” that aired last summer? It had lots of clips of SF movies, particularly those dealing with alien invasions. There were a lot of interviews with directors like George Lucas, Steven Spielberg, etc. It was really good, until the last five minutes when it abruptly shifted into a commercial for Spielberg’s War of the Worlds. I knew of the doc, but I missed it. I did record several films off TCM this last summer, though, so I would have to get them through Netflix. Saying Will Smith is the most successful SF actor of all time is kind of like saying JK Rowling is the most successful writer of all time. True, but kind of beside the point. It’s in there, Sarcastro. Because the life of a repo man is always intense! I was pleased to see The Matrix included in your Canon, and delighted with Destination: Moon and The Incredibles. I was a bit surprised not to see Star Trek: First Contact (easily my favorite of the Star Trek movies, Khan and the dolphins notwithstanding)… but that’s life. Loved “Old Man’s War” and “Agent To The Stars”. Please do keep ’em coming! 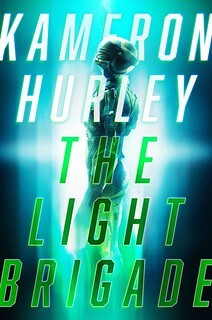 I will be buying the book under the slight protest that “The Thing” is not on the canon list. I’ve been trying to reverse-engineer the criteria for “canonical.” For instance, sixty posts in, nobody has mentioned the absence of 2001, which may answer itself. (I have no doubt it’s in the book.) The impression I get is that these flicks are Key Examples of This, That, or The Other Thing; some are too new to know what their influence will be, the Mélies arguably isn’t directly “influential” at all, and a few of them — the Losey, the Tarkovsky — are barely known, except possibly by reputation, to a lot of sf film fans (which is not meant as a slam at them). Alphaville is a movie that many fans hear something vague about, run out and rent, and end up staring at like the first-act crowd at Springtime for Hitler — or maybe like they did at Crash. (The Ballard one.) But yeah, it’s a significant film. 75% viewed. Now.. for.. the.. rest.. on.. the.. list..
Actually, it’s there in the Canon (“2001” is in the “T”s, not up at the top of the list as a number). Heh. I think you’ll enjoy the review of that film in the book. Aside from this, you’re not far off in the “Key Examples of This, That, or The Other Thing” estimation, although of course some films are representative of more than one thing at one time. I realize you had to do a little critical hedging to keep every b&w sci fi movie of the Fifties from jamming up the List. No Invaders From Mars or — more importantly — no Them? And moving on, no The Blob nor THX 1138? Well, Thorzdad, ZMW may be referring 1982’s The Thing, directed by John Carpenter, not the 1951 version (which as you correctly note, is formally titled The Thing From Another World). Both films are actually reviewed and noted in the Canonical entry — I originally had both of them sharing their Canonical space, but had to pick one over the other for the sake of the listing. Nevertheless, they’re both in there. Bootz: Them and Invaders from Mars both get thumbnail reviews, so they’re in there, as is The Blob both the ’58 and ’88 versions. As for THX 1138, I have several things to say about that film in the book, not much of it good. Always brave to do these lists. I’m curious as to why Silent Running isn’t there. Seems canonical for its early enviro/political melding with SF, plus the first anthropomorphized robots. Silent is noted in the book, but not in the Canon. In my opinion it’s mostly notable for having the Saturn special effects scenes Douglas Trumbull wasn’t able to finish for 2001, and otherwise is standard-issue early 70s serious/dystopic SF. It’s also not the first anthropomorphized robots: those are around all the way back in 1927’s Metropolis, not to mention Forbidden Planet or The Day the Earth Stood Still. However, you can definitely see the seeds of R2D2 in those robots, and one scene in Phantom Menace is a direct steal from a similar scene in Silent. Whoops. Looked at the list n+1 times trying to find Dave et Frank vont en Bateau d’Espace, because it couldn’t not be there. And indeed, it wasn’t not. Since you include 20,000 Leagues, do you know that Fantastic Voyage, which has the same director and production designer, was originally supposed to be a Vernian/Victorian adventure — what we’d probably call Steampunk? I don’t dislike the movie we got, but it does not age well — the steam-powered version might well have been timeless. A steampunk Fantastic Voyage would have been awesome. Still, that movie totally freaked me out when I was a kid, when Donald Pleasance gets eaten by a white blood cell. White blood cells have kinds creeped me out ever since. OK, how about When Worlds Collide? Not enough to say it’s mentioned in the book. Gotta explain why it ain’t canonical. Bootz: In both cases other films better filled their ecological niches — Forbidden Planet for When Worlds Collide and War of the Worlds for Time Machine. In any event, there are only so many George Pal-produced (or Pal-produced-like) films one wants to place in The Canon. John Popa: The Matrix review is silent on Dark City, but I dig that film quite a bit; it barely missed the Canon list. I’ll concede the anthropomorphized robot in Forbidden Planet, I guess I should have said *cuddly* anthropomorphized robots. I would contend that the Metropolis robot is an android and is, as such, already anthropomorphized, but then, I’m a pedant. Funny that the next comment was about Fantastic Voyage, since I almost mentioned that one, too, but didn’t because the movie is so damn lame. Except for the white blood cell. Bizarre not to include This Island Earth in the Canon. It was chockfull of nifty ideas and big-budget effects. I think it’s often overshadowed by Forbidden Planet. And 28 Days Later was much better done in Night of the Living Dead. Eh. I think being MST3Ked knocked the wind out of that particular film. It’s not one I think all that much of. But of course you are free to disagree. I know there was a UK television version rather a long time ago, but I don’t think there’s been a film version — certainly not in English, and not in the last 50 or 60 years. Whatever: The Rough Guide to Sci-Fi Movies — Officially Out! John Scalzi, author of The Rough Guide to Sci-fi movies, gives us his Canon of fifty essential movies. I’ve reproduced his list, bolding the one’s I’ve seen, and comments as necessary…. Evolving Thoughts and PZ Myers have tempted me to find the intersection of the most significant sci-fi flicks with the ones that have flashed through my optic nerves! But as far as cuddly (creepy, disturbing) robots go, how about Disney’s THE BLACK HOLE? The Black Hole is definitely in the book, and yes, the robots in that are all waaaay creepy. Great list! It’s a pity EMinds is offline, or I’d be posting a copy of it over there, with some annotated commentary. I was gratified to see the inclusion of Back To The Future (pretty much the quintessential time-travel movie), Aliens (which occupies my #1 slot for “Most Great Lines You Want To Clip From The Soundtrack As .AU/.WAV Files”) and T2 (you’re right, it is a better movie than the original in many ways), among others I could name. ok, I know this won’t make any difference and I’m sure it’s included in the book, but, Logan’s Run anyone? I’m puzzled you put in Contact – it wasn’t a bad film, but it’s not very influential, it wasn’t very successful, it hasn’t entered the culture in the way that something like 2001 or Alien has, it hasn’t spawned spinoffs and tributes… why’s it there, John? On the Beach is a great film, but is it sf? If it is, then I’d argue for it to be joined by Dr. Strangelove, which has more sf elements (the Doomsday Machine) and is a better film. I’m in two minds about 1984 – the book was sf (or as sf as the Stepford Wives and On the Beach, at least) but the film wasn’t great per se. : King Kong — it’s not really science fiction, it’s fantasy, so it’s not appropriate for The Canon. In your book do you define the difference between SF and Fantasy? If so, I’m curious how you make the distinction. What about Godzilla vs King Kong? I’m not asking if it belongs on the list…I don’t think it does. I’m asking whether you feel it’s fantasy or SF? I’d also argue that Star Wars IV, V and VI were Space Fantasy. Episode I tried to bring science into The Force, but it wasn’t very believable. Or does the presence of robots/androids automatically make something SF, just like the presence of Elves automatically makes something Fantasy? Just in case my last point wasn’t clear enough. The Force=Magic. Therefore Star Wars=Fantasy. Episode I tried to make The Force genetic based, but for twenty years the films were classified in my mind as Fantasy, and they still are. John — that’s a great list! Terrific job. But… no Gattaca? Ah, but the Force also falls under the Psionic end of SF, with powers more resembling telekinesis and precognition than anything requiring lit candles and chanting. The Godzilla series contains enough giant alien monsters and robots to push the series as a whole into science fiction. Actually, if your going to argue genres, Godzilla and King Kong both belong in the monster movie genre along with Alien. Of course, you could say that science fiction and fantasy are both setting genres, while monster movies are character genres, allowing the movies to comfortably fit into both catagories. Though, sitting here thinking about it, I’m also not sure why Kong would be fantasy rather than science fiction. 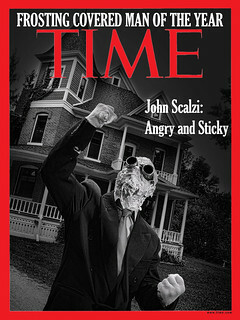 Well, Scalzi? Contact is there, among other things, for being a science fiction movie that does a good job (up to a point) of getting the actual science right — not always a priority for SF films, alas. Gojira is there becase his appearance is directly related to science activities of humans — i.e., there’s a technological rather than wholly natural reason given for his existence (unlike KK, who is just damn big). I agree Dr. Strangelove is one of the best films out there, but it’s only glancingly SFnal. “On the Beach,” on the other hand, is realistic speculative fiction, taking place after a nuclear holocaust. As for 1984, it’s definitely SF (or was at the time) and one of the great works of SF literature. I like the 1984 version of the film quite a bit, but I don’t think it’s Canonical. I do make a distinction between SF and Fantasy in the book, and I do note when SF works have fantastical elements in it (Star Wars indeed being a prime example). Despite Star Wars’ fantasy elements, I think it’s primarily SF, because with the exception of The Force, everything in that universe is technology based (it’s also worth noting that Lucas rather unfortunately also tried to give The Force a rational basis at one point — those damned midichlorians, as you note). Gattaca’s in the book, just not in the Canon. King Kong and Godzilla are indeed both monster movies, which is a genre that has significant overlap in fantasy and SF. I would say in general all monster movies are essentially fantasies (i.e., they involve creatures which do not exist in the real world), and some of those movies become science fiction by dint of the creatures origin — it comes from outer space, is mutated by radiation, etc. King Kong is fantasy because 50-foot apes are fantastical creatures; you’re not going to find one in nature. How tall is the yeti? Flash! A-ahh! Savior of the universe! How very cheesy – I love it! Starfighter is definitely in the book, and I certainly remember geeking out to the CGI when I was a kid. Where are my favorites?! Roeg’s “The Man Who Fell to Earth”. And the original sci-fi western “Outland”. I’ll be checking your book out the next time I stop by my local bookstore. Looks fascinating. Ordering for the library where I work this very minute! Both Man and Outland are noted in the book. Also and incidentally, Man was recently released on a Criterion edition DVD, so if you haven’t picked it up in that format you should check it out. The space Western Moon Zero Two came out in 1970. As for the plot, High Noon appeared in 1952. By a strange coincidence, I changed jobs a couple of weeks ago, and part of my leaving present was, entirely unprompted, a copy of “The Rough Guide to Sci-Fi Movies”. It’s great. I cannot read a page without wanting to give you a good shake and make you see sense. Another list meme: this time, John Scalzi’s top 50 significant sci-fi films. As always, films I’ve seen are in bold. Rocky Horror fell off the list just because you had to bulk up the Star Wars and Alien(s) series? Say it ain’t so! I first saw crowds waiting for a midnight showing in ~1975, and the thing is still playing and getting cast members to show up, and if nothing else, the opening song’s Canonical List of Science Fiction Double Feature Movies ought to justify putting it in there in place of _something_, even if it has to be a better movie. I haven’t read your book yet, and there are a couple of the movies I haven’t, but I’d be tempted to bump Robocop or The Incredibles or maybe Brother From Another Planet. Also, wouldn’t Night of the Living Dead be a more canonical choice of zombie movie than 28 Days Later? Thanks! Heh. That’s the kind of praise I love to hear. Well, Rocky Horror is the definitive SF musical, and I don’t think anyone will argue that (there might be a couple who hold out for Just Imagine or The Apple, but, eh, no). As for Night of the Living Dead, it certainly the definitve zombie flick, but it’s not science fiction, whereas 28 days is (thanks to the virus angle). As noted upsteam, it’s in the book. But it’s not Canonical. In there, but not in the Canon. An author by the name of John Scalzi has written a book entitled The Rough Guide To Sci-Fi Movies. Also, is They Live in the book? or how about The Mind Benders? Do you consider Frankenheimer’s “Seconds” as Sci-Fi? IMO, Total Recall should be in the canon. Also a big Gattaca fan. Great list however. “Brainstorm”, Natalie Wood’s last film, is cool because it’s a rare instance of a *character driven* scifi flick. It also has one of the best portrayals of Big Science I’ve seen on film, with teams of overworked egomaniacs somehow holding it down to discover stuff, together. There’s a few plot holes, but the implications of linear mind-to-mind networking are explored on levels both literal and metaphoric (metaphors be with you). Chris Walken plays a normal guy! Did they make your 250? Yes, they’re definitely in there. George Pal’s The Time Machine. Time Machine: Eh. Not Canonical, in my opinion (either as a Wells film or a Pal film). I was amazed when I went down the list and realized that I was only missing six of them (Brother From Another Planet, Delicatessen, Ghost in the Shell, The Incredibles, Solaris, and La Voyage Dans la Lune) — Obviously I have seen far too many SF movies! I have seen parts of La Voyage Dans la Lune many times, but I have never seen the entire 14 minutes — where did you find it? Or, rather, is it available on DVD or the Internet somewhere? And, like everyone else, I am sure I can suggest changes in the list. For example, why list a dreary and boring film like Alphaville by the much over-rated Jean-Luc Godard while ignoring the brilliant (and entertaining) La Cité des Enfants Perdus? Actually, I originally had it and Delicatessen as a dual selection, and then the editors went in and broken them up and put Delicatessen on the Canon alone (however, City is noted on the same page, as is my praise for it). As for La Voyage Dans la Lune, it is indeed on DVD, as part of a collection of Meilies shorts. I’ve always liked to think that Delicatessen and Brazil secretly take place in the same universe, just on opposite sides of the Channel. I was disappointed not to see Andromeda Strain on the list because I think it’s one of the more intelligent SF films; and I didn’t like Terminator 2 at all; all of a sudden this tough woman is a loser?! Terminator was much better. That list makes me doubt your commitment to Sparkle Motion. and ‘Son of the Two-Headed Fly’. Anyway. A whinge about ‘Serenity’. What did you mean by “influential movies”? Do you mean genre-defining, or industry-defining? ‘Serenity’ should be on the list in the sense that it’s an entirely fan-driven movie; the TV series was canceled, but fan commercial support made a movie possible. Surely that’s a significant event in SF movie fandom! Also, I don’t think that it was a good idea to include Japanese animation in your list, because there’s a tremendous archive of stuff out there, and most of your readers have seen little of it. Which Otomo film do you pick, for example? Which Miyazaki? And do you put “Mobile Suit Gundam” into the list? The films made for that series were what put ‘real robots’ on the map. How about ‘Macross: Do You Remember Love’? I’m sure that there are hundreds of other animated films which influenced Japanese science fiction which I don’t know about. You also have the issue of OVA animation–that is, series of TV-length (or sometimes longer) episodes that were direct-to-video. Do those count as movies, or as TV series? Serenity wasn’t considered because, among other things, it wasn’t out by the time the book needed to be to the printers. However, even by your criteria, Serenity isn’t unique, as “fan driven commercial support” quite amply describes the existence of the Star Trek movies. The mechanism was different (fervent re-viewing of the series in syndication vs. DVD purchases) but the principle is the same. And, of course, the Star Trek films in aggregate were financially successful in the theaters, which Serenity was not. To the first, I naturally disagree, and second, so what? Most of my readers are unlikely to have seen Le Voyage dans de Lune or The Damned or even The Brother From Another Planet — should I leave them off the list? The Canon criteria is that the film is significant, not “popular” or even “easy to find at Netflix.” Akira and Ghost in the Shell were designed as feature-length films and released in the theatres here in the US — that’s acceptable for inclusion (plus, I find them significant in the history of SF film, which is directly relevant). In fact, in the book I discuss anime of varying types; The Canon is not the entire of the book. But in any event you definitely can not discuss contemporary filmed science fiction without touching on anime because it is an undeniable influence, particularly the two films cited in the Canon. Not noting anime and its influence would have meant the book would have been woefully incomplete. Most of the unlisted movies I would have suggested have already been mentioned (Brainstorm and Dark City at the top of my list). I’m not convinced superhero movies (The Incredibles, Superman) are SF. They seem like a separate genre to the same extent fantasy is. The two SF movies I would mention as seeming in the range of “canonness” that have not yet been commented on are Groundhog Day and Wargames. As I understood it, the first “Star Trek” movie was in fact a bail-out project, done instead of a new TV series. Perhaps “Serenity” wasn’t out by press time, but it was clearly in production, and could (and I would say should) have been cited. The influence of fandom on the film’s production is much more noticeable with “Serenity” than with “Star Trek: The Motion Picture”. Also, it’s a bit simplistic to say that “Star Trek” is more signficant than “Serenity” because “Star Trek” made money and “Serenity” did not. If nothing else, “Star Trek” has been out for more than two decades, and “Serenity” hasn’t even been around for a month. Although you do include the weasel phrase “in aggregate”. Your understanding is incorrect. Paramount explored the idea of a new TV series (excerpt of test scenes of which can be seen on the ST: The Motion Picture DVD), but chose instead to go with a movie. Paramount chose one instead of the other. In any event, one does not “bail out” of a TV series which would have cost several hundred thousand dollars an episode to make a single film that cost $35 million in 1979 dollars. A more accurate statement would be to say Paramount “upgraded” from a cheesy TV series (if the test shots are any indication) to a lavish movie production. No, it shouldn’t have, and wasn’t. The movie wasn’t out — therefore it wasn’t significant in any sense, and therefore certainly not a candidate for the Canon (the movie is noted in the book in another place as being released in the fall of 2005, although there is no review of it). If one wishes to speak of its significance now, it would be primarily as an object example of how a rabid fandom does not necessarily indicate any sort of genuine financial success in the theaters. Aside from that, it’s not a good idea for one to blather on about the significance of a film one hasn’t actually seen. Quite obviously, because I find both to be significant. You can find the details in the book. Yes, because the book is about movies, not television. As I mention, anime is discussed in a general sense in the book, but for the Canon, films are the rule. As I’m using Firefox and can see all of it, I am compelled to ask which parts you think that you can’t see. The remains of a 3 Meter giant ape have been discovered. Admittedly, that is only 10 feet, so if King Kong was stated to be 50 ft, it is still in the realm of fantasy. I thought I would still point this out. Excellent list… while I may agree or disagree on the inclusion or exclusion of specific movies, I think the “Canon” is, overall, an excellent starting point for introducing people to the possible breadth and depth of what science-fiction can offer. Kudos. Picked this up over the weekend – enjoyed it very much. For some reason, I had thought that 2001 wasn’t in the canon – was pleased to find out that my memory was faulty there. Regarding the origins of Star Trek: The Motion Picture, my understanding from reading ‘Star Trek: Phase II : The Making of the Lost Series’ matches yours, with the additional nugget that the proposed new series would have anchored a new network. Sorry, Mavis — I’m not in the business of sending people DVDs. George A — I think your recollection is correct about the new network, so the fact UPN debuted with Star Trek: Voyager is pretty interesting. What about George Pal’s ‘Journey to the center of the earth’? congratulations with your awesome work. I’ve read your hole site and was very impressed. I made for myself and some other SF fanatics en standard-work of SF books in the Dutch language and translated SF books into the Dutch language. It turns after 14 years of research out into two volumes in A4 format and about 2000 pages. So i understand the work you’ve done. When your work sells in Dutch bookstores i will immidiately buy one, and shouting it out very loud. Again thanks and thanks your family who have seen you not for a long time. I hop you can read my very bad English. No Star Wars 3 why? Because it’s not good enough. The Dark Side of the Moon is Really a Well Done Movie With a Creepy Plot. I would recomend it. Help me with the title to this one and I’ll order your book tonight! Android left by a dead, brilliant scientist in his lab. Nobody knows what it’s for and can’t activate it. Comes to life at night in the lab and creates a human appearance. Has access to a mansion with a control room in the basement that has access to information all over the world. He is one of a race of androids that was put here on earth to help us from blowing ourselves up (although I am not sure that might not have been better for the planet). I remember at the end of the movie he enters a portal in the side of a mountain and you can see all the androids that have preceded him laying on slabs. i read this book on holiday, and must say that I thoughly enjoyed it. The only drawback was the poor quality proofreading/fact-checking, but it still makes an excellent read. Yeah, I wish the copy-editing had been better as well. I suspect there may have been a few page mix-ups between edited and non-edited pages over at the printers. I suspect this will get fixed in subsequent printings.